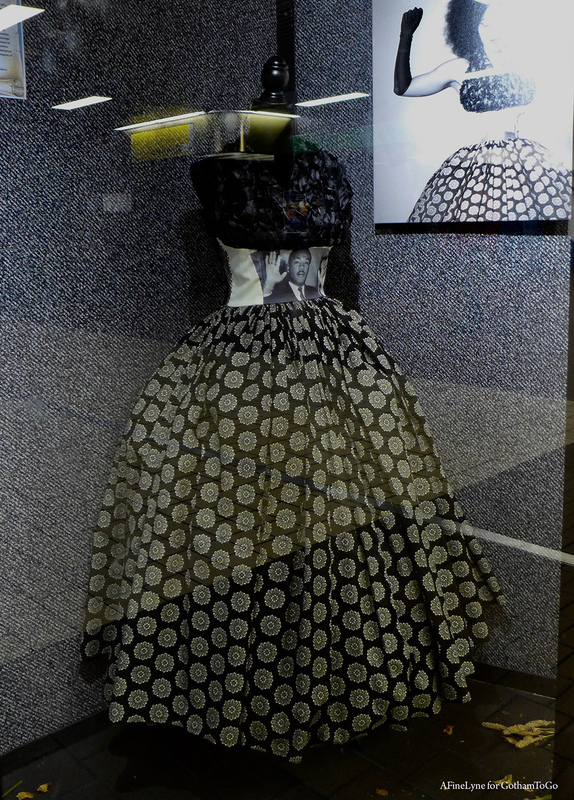 Bunn speaks of how she’s always been intrigued by period dresses, old films, old books, antiques ~ and as a textile artist, she unites these passions by telling a story, bringing attention and awareness to periods of time not well known, or often discussed. 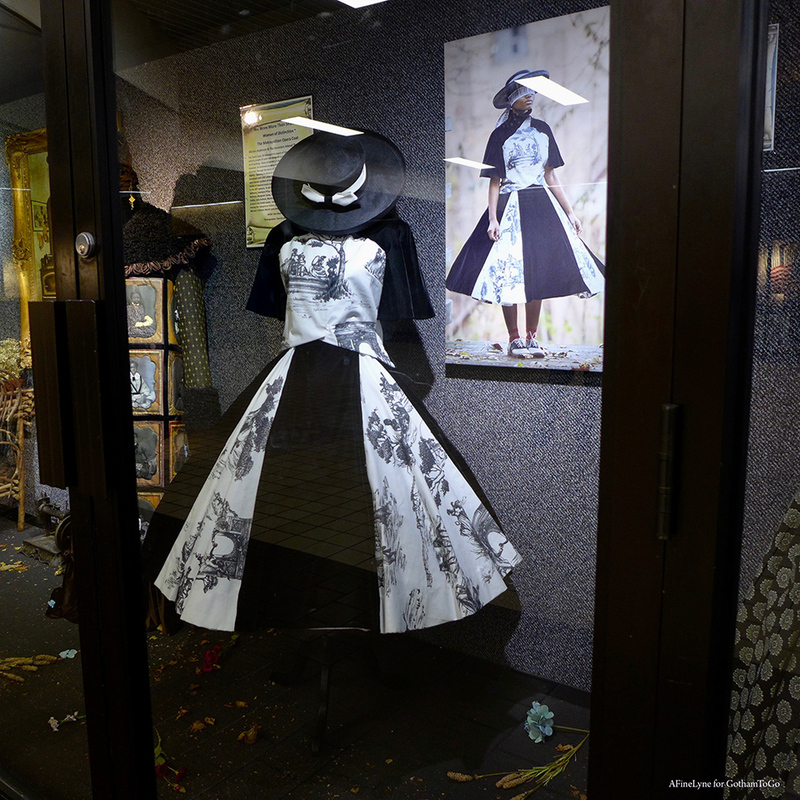 “We create fashion that helps depict stories of historical-fiction rooted in truth and fact. Some stories of our nation’s history are difficult to bring to the surface.” In this exhibition, her focus is on the Antebellum period and Seneca Village, set in the late 1820s through 1858, in early New York City. Realizing that history books show only a particular perspective of the African’s experience as down-trodden, We Wore More Than Shackles displays finely dressed Village residents, attempting to tell their story – who they were and how they lived. The life-size, finely dressed, images portray the story of the middle-class, who strive to move away from disease, filth, and violence against them ~ to a place where there is clean air, and farmland to purchase ~ Seneca Village, now part of Central Park West. “I would like to think that my artful interpretations can help counterbalance the negative and damaging visuals and perceptions of our ancestors. I want to share visions of great people of character and civic duty. I would like to give our children an opportunity to see themselves in people who look just like them, represented in American History in an empowering way.” Sara Bunn in her mission statement. 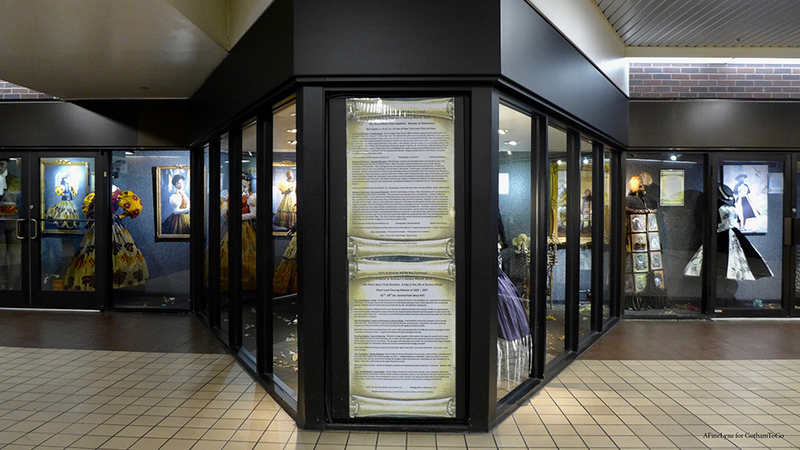 A printed scroll is pinned next to each exhibit, giving the story suggested by the painting or clothing, along with credit’s to photographers involved in the project. 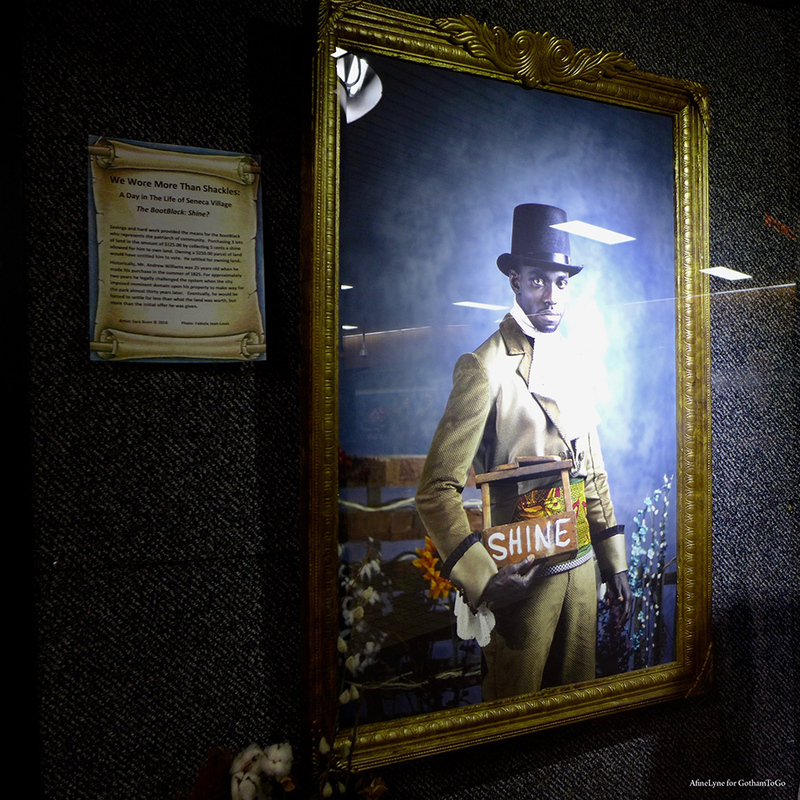 We Wore More Than Shackles: A Day in the Life of Seneca Village ~ The BootBlack: Shine? 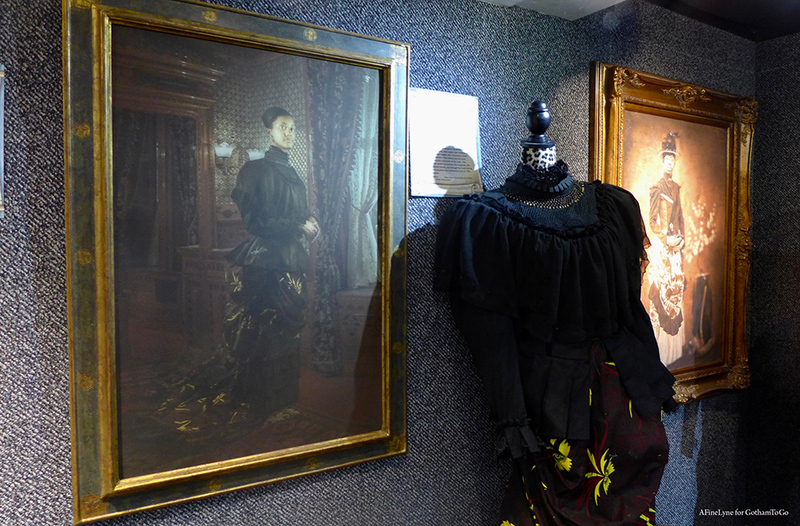 Bunn exhibited We Wore More Than Shackles in 2016 at the Morris Jumel Mansion in Sugar Hill; at Spencer Museum in Lawrence, Kansas in 2017; and a traveling exhibition to Vermont and Ohio in 2018. 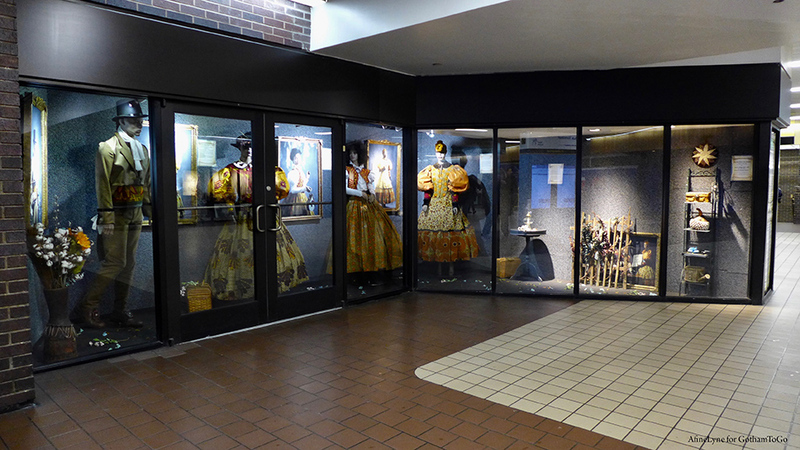 We Wore More Than Shackles ~ A Day in the Life of Seneca Village by Sara Bunn is currently on view at Port Authority Terminal, curated by Myron Johnson, PABT Curator of Arts and Entertainment. 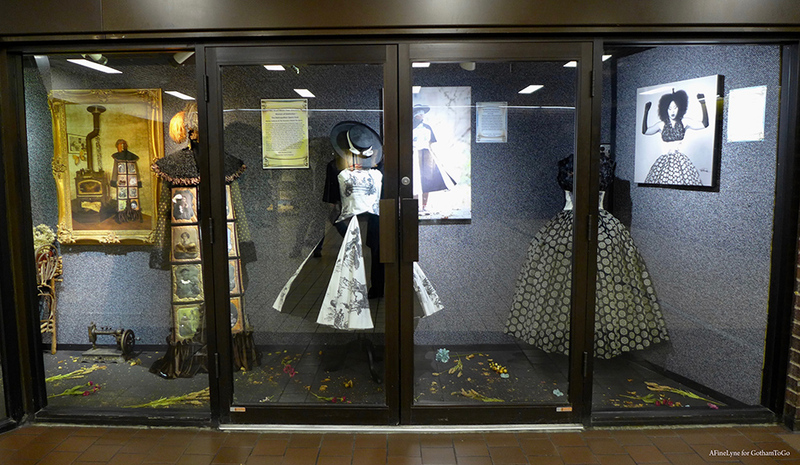 Port Authority Terminal is located between 40th and 41st Streets, from Eighth to Ninth Avenues, with the exhibit close to Ninth Avenue. Our photo’s don’t due justice to the beauty of the finely detailed work of the artist. The exhibition will be on view through April, 2019. Follow Sara Bunn on Facebook and Instagram. I would like to learn more about Seneca Village. My understanding is that it’s people proudly struggled on tough land. Though poor, they lived righteous, upright lives with churches, a cemetery, and a school. That when NY took Seneca Village at a pittance through eminent domain, that the community scattered. Is this exhibit based on different scholarship, please? This might be a nice Tour to add to the list of Tours you give. Feel free to message the artist, Sara Bunn, on Facebook (link at the bottom of the post). I’m sure she would love to answer your questions regarding her installation. I celebrate the artistry of women throughout the globe. 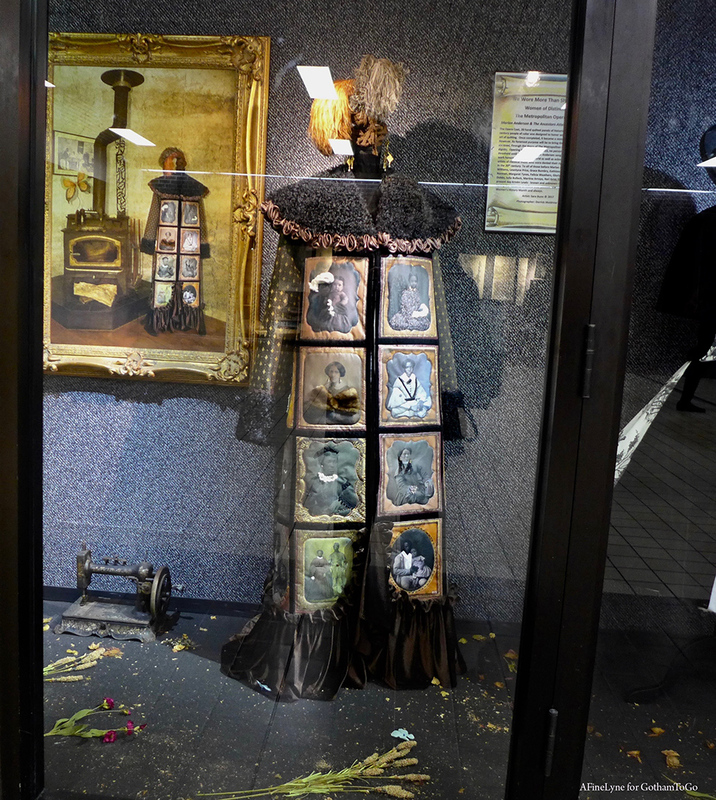 Congratulations to my beautiful spiritual sister, Sara Bunn, for her “We Wore More Than Shackles” exhibit at the NY Port Authority. Sara Bunn is talented and a continuously evolving artifactician. This native New Yorker, from the Bronx, was born with a sketchpad and a silver needle in her anointed hands. Sara will travel the silk roads of the Earth, and through her talking fabrics, she will speak life into the countless cultures of women through the ages. 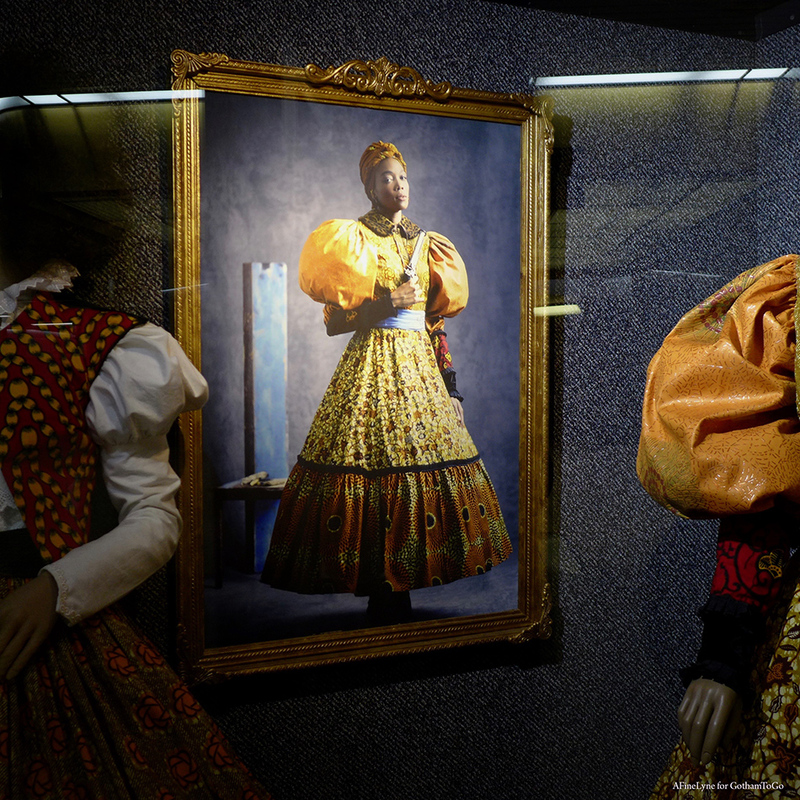 There are many stories, and reconstructed garments to be unearthed. Anthropology is alive and richly colorful. Next Next post: How Would you Spend $1 Million ~ in Your Community? Voting Begins Today!